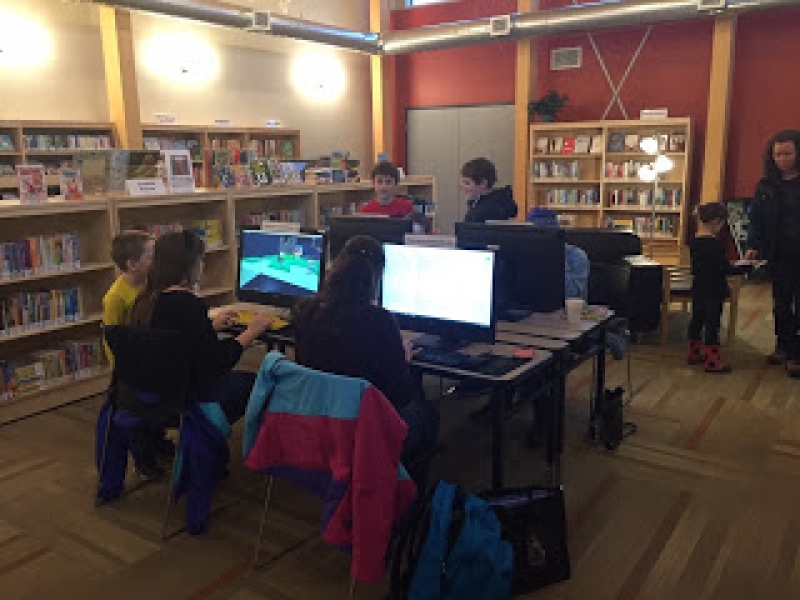 Word got around quickly last week that the renewed Maple Acre Library opened on Tuesday. When I went by around 3:30 PM, it was a hive of activity! ceiling, the natural light, and the link between the old and new. facility. The same group oversaw the Library’s design and construction began last June. front door), the Library is operational and staff plan an Official Grand Opening in February.